You can find this location on Battleground near where Benjamin Pkwy & Holden Merge to intersect Battleground. Directly beside the Wendys and acros the street from Taco Bell & Advance Auto Parts. 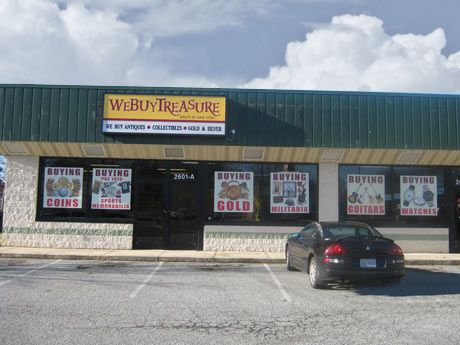 Our Greensboro Store we are always Buying Gold, Silver, Scrap and Broken jewelry, and Estate Pieces. We also purchase Vintage Guitars, Militaria, Classic Toys, Watches, Vintage Signs, and Much Much More. It is a fact! 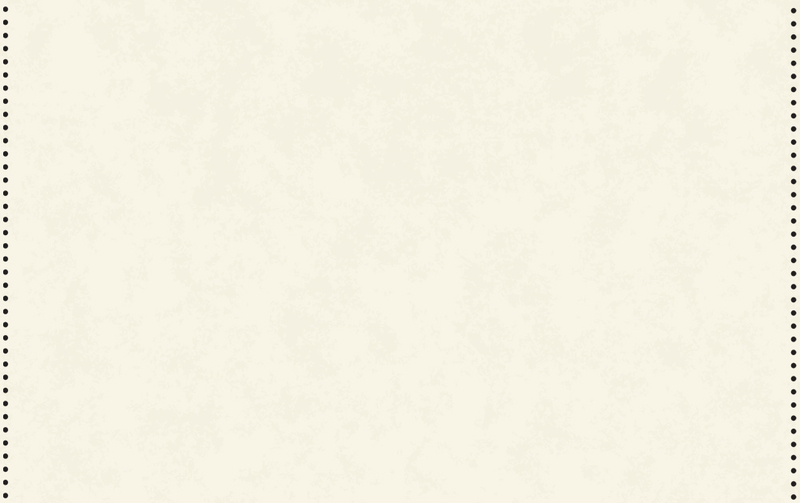 Our stores veer away from the rules of pawn shops where new is better. We Buy Treasure Greensboro deal in the rich history of old autographs, estate jewelry, vintage toys, and collectibles & memorabilia. The things your father would have played with in the main room of the house as a child. That madolin that has been your attic for years. We want to buy all of those vintage collectibles. Our stores pay cash for all of these items. Which means you will never have to wait a year on an auction to finish. You will never have to peddle your wares to people in hopes to sell your items. 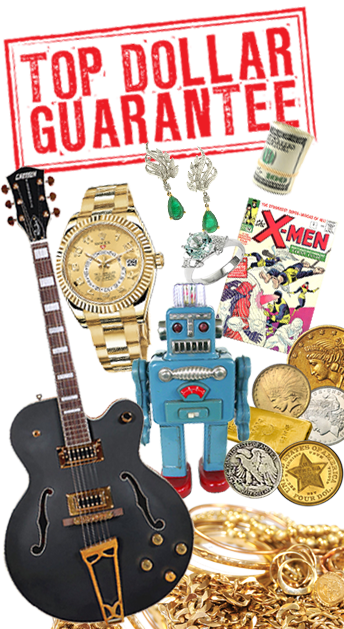 We buy all of your items to make it easy for the people of Greensboro, NC area to sell all of there gold, silver, guitars, militaria, and more! We also a provide an atmospher that is friendly and welcoming unlike other pawn shops and gold buyers in the triad.